Whoohoo finally got the chance to make a new mesh. 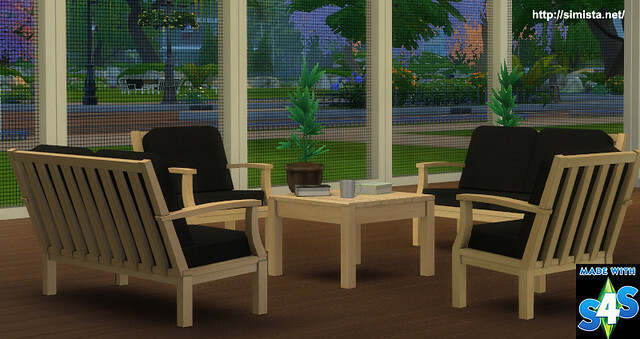 This is my Sunroom inspired setting. 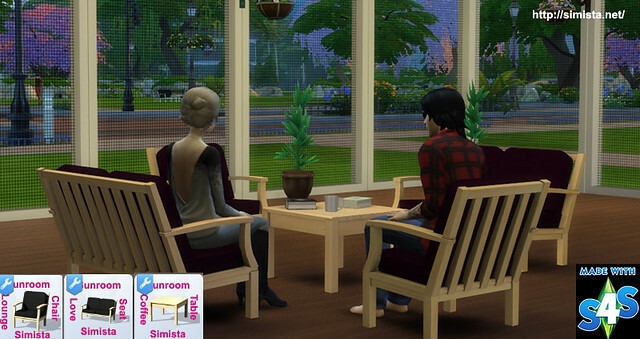 Naturally you do not need to build a Sunroom to put them in. Pack contains a chair, love seat, and a smaller version of a coffee table. All items will be found the usual spot in the game. The mesh screen in the pic can be found here.